For years, moving work to China or other Asian countries has been seen as the go-to solution for successful assembly. The huge difference in local prices and wages offset the not-inconsiderable downsides to foreign manufacturing assembly. In recent months, however, this trend has been reversing. The boom in foreign manufacturing is quickly boosting local costs faster than suitable new manufacturing areas can be created. The cost savings aspect is quickly disappearing. Further, offshoring introduces significant hurdles throughout the supply chain process that become more important as the global electronics boom continues. Companies need to be able to respond to demands spikes quickly and shift resources as needed, but offshore contracting inhibits this. While prices in China are certainly still lower than in the West, they are still growing rapidly. Without that core element, outsourcing your manufactured assembly to China starts making less sense. • Counterfeit parts. 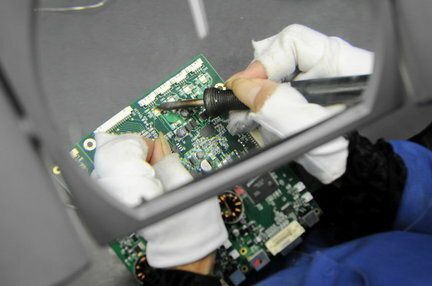 Riding right alongside the electronics boom is the counterfeit electronics boom, which has made its way into even the United States Defense pipeline. Without constant -and costly- local oversight, which is prone to corruption in the best of cases, maintaining a firm grasp on your components supply becomes difficult overseas. • Long pipelines. Multiple challenges make long supply pipelines a necessity in working overseas. From transportation challenges to constant time zone-related hassles, doing business this way requires a long lead time and a lot of faith in your supply chain that may not be warranted. • Slow crisis response. A system that relies so heavily on long pipelines and mazes of local bureaucracy is going to have a hard time changing in an emergency. A spike in demand may go unmet because the resources to expand production are not there. A break in the supply chain at one point cannot be easily repaired without work grinding to a halt elsewhere. It is inflexible. • Unstable local situations. The continual outbreaks of suicides and riots at Chinese Foxconn plants are only one example of this. Investing in developing nations is inherently risky, and constantly-changing local political and social changes (spurred on, in part, but that same investment) means your manufacturing foundations will rarely feel entirely stable. Managers and decision-makers liked the Chinese outsourcing solution because it was a very simple answer to a complex problem: all supply chain problems become surmountable if you drop costs enough. This may have held true for awhile, but today, a less hidebound system is needed. 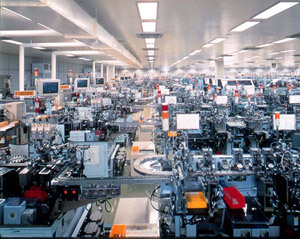 The world of contract manufacturing today is focused on a more balanced approach. Many worried that manufacturers were putting too many eggs into the "offshore" basket, and that appears to have been the case. Instead, bringing your manufacturing back home is growing in popularity. 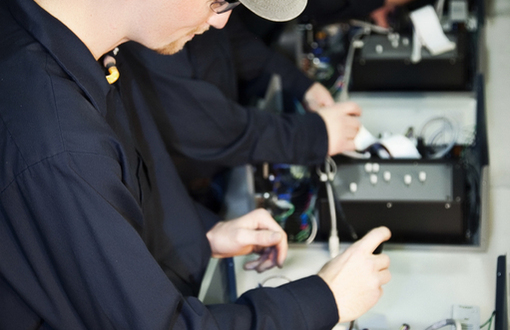 With a contract electronics manufacturer located nearby, most of those supply chain issues become minimized. • Have multiple sourcings in place to get supplies where needed. • Allow closer integration of your R&D, testing, and manufacturing facilities. • Show audited supply chain receipts vouching for component authenticity. • Allow far faster response to shifts in demand that need a response within weeks, rather than months. With more companies discovering the benefits of reshoring, it is causing many to ponder whether it's time to jump off the offshoring wagon. Reshoring offers significant arguments for solving supply chain management problems, ultimately making domestic manufacture economical again. What supply chain challenges have you faced while manufacturing goods offshore?